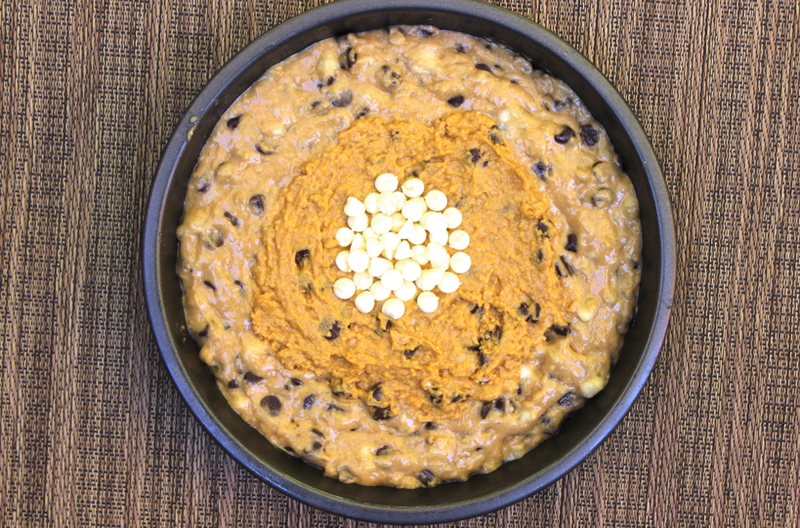 Looking for something to serve at your Halloween party? We gotcha. 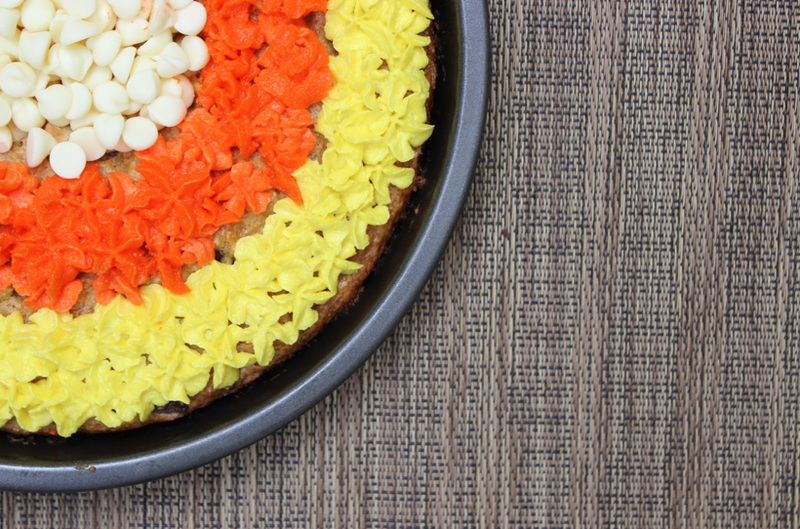 Cookie pizzas are a hit in almost every situation. 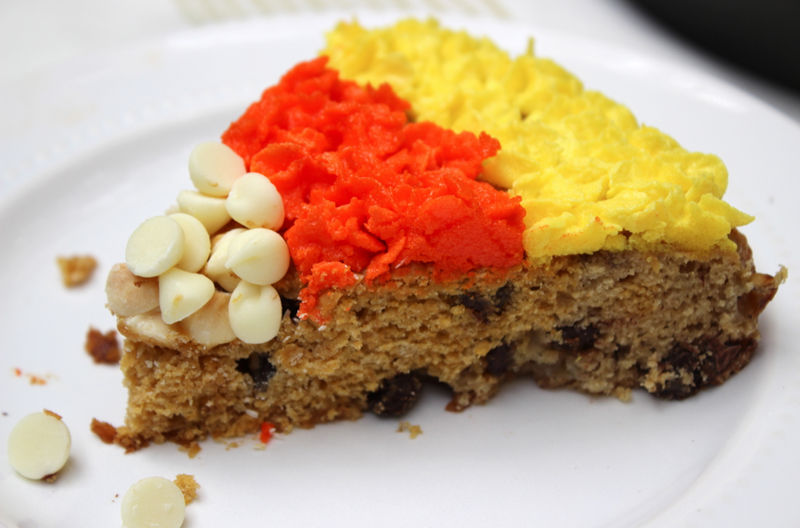 A big, chewy cookie with frosting that you eat in pizza-like slices? It’s the fast track to happiness. 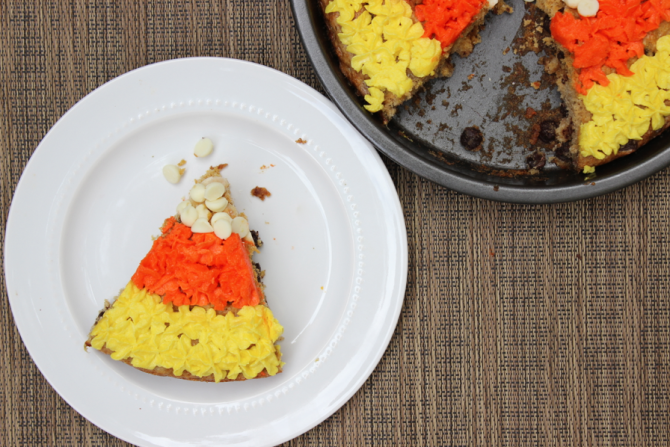 If you really want to impress your friends this Halloween season, make this cookie pizza that when you slice it, looks like pieces of candy corn. 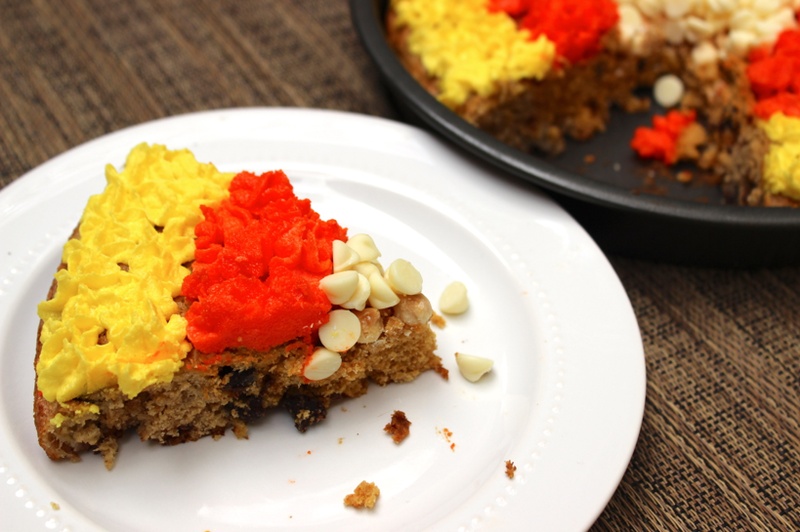 The banana and pumpkin add some extra fun and flavorful twists, and frosted with different color rings and garnished with white chocolate chips makes for the most epic party dessert ever. 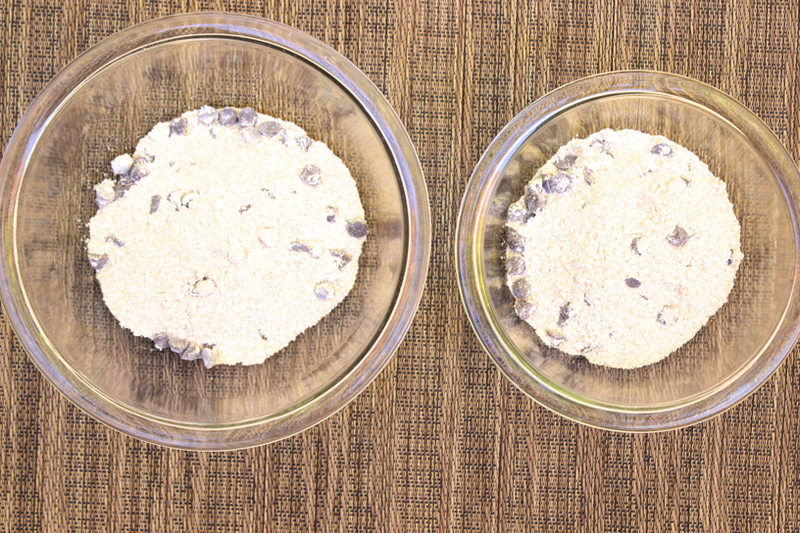 You can combine all the ingredients for a classic chocolate chip cookie recipe minus the butter and liquid, or you can take a major time-saving shortcut by using a box or bag of chocolate chip cookie mix. 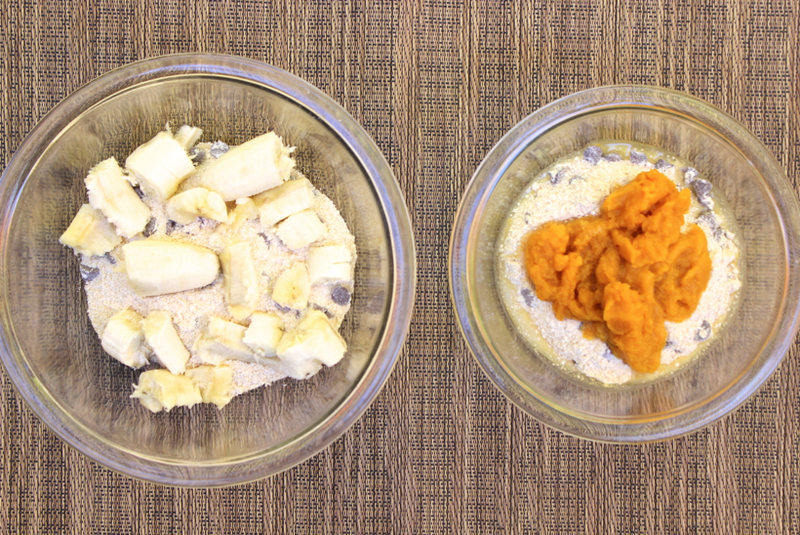 We assure you this recipe is all treat, no trick. 9. Slice into triangles originating from the center and serve.